Both of these towns are in Eastern France. Annecy is known for a boat shaped building. It is so well known that you will not see it here because I always want to do something different. The final three photos are from Colmar which has a very German flavor to it. All are from a 2009 visit. It’s actually faster to drive through Switzerland to get from one of these towns to the other. Chamonix is a ski resort in the Southeast of France not far from Geneva. It sits in the valley by Mount Blanc. You know the difference between France and Switzerland immediately. The roads have tolls and the petrol costs more in France. Interlaken is high in the Swiss Alps surrounded by dramatic mountains. The main attraction is the Jungfrau, a cog railway which goes up into the mountains. 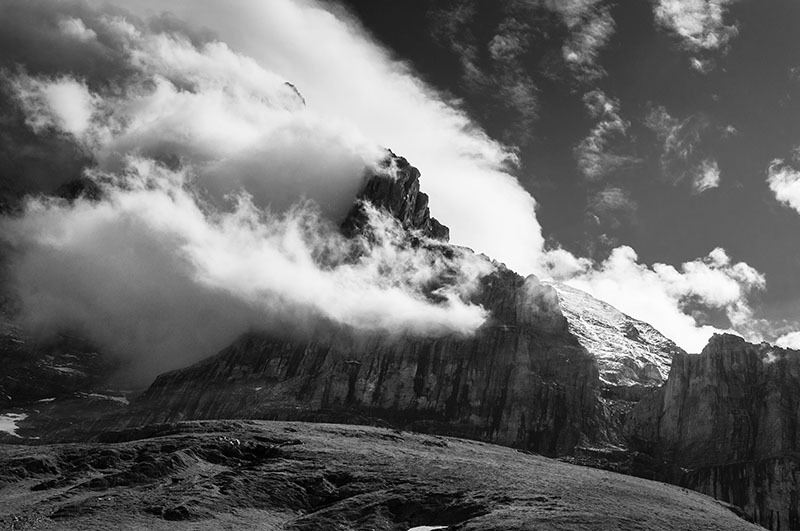 Some of these images were shot in town, others are from the Jungfrau trip. Blue Tunnel was captured inside the Jungfrau complex. Some say the rocks in Doom Castle (the observatory) look a bit strange. The Jungfrau is a mountain near Interlaken, Switzerland which may be reached by a cog railway. The views are spectacular and the price is equally breathtaking. These images were captured in the Summer of 2009 but have been processed at various times right up through January of 2013. Because the airport is far from central Zurich, I spent the last two nights of my Swiss adventure in the suburbs and took the train to town in the morning like an ordinary commuter, only a little later in the day.